This was the plea from a school captain of Trinity Catholic College to Australia's politicians in front of nearly 500 fellow students at today's nationwide School Strike for Climate change. 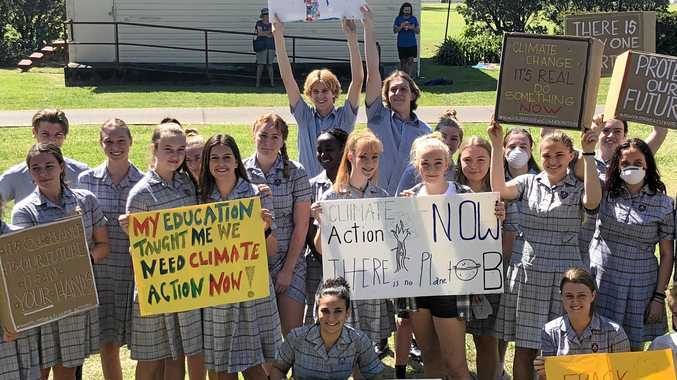 Year 12 student, Frewoini Baume, was speaking on behalf of those who gathered in the searing heat at Spinks Park to represent climate conscious school age students from around the region. The impassioned speech was one of several which drew loud applause and chanting from the crowd. Ms Baume implored the country's leaders to work collectively through issues and "repay the debt” mining and oil companies owed by having made money from ruining the environment. "In the words of the American Rapper, Prince Ea: 'Let's put the people over profit, put need over greed and the golden rule over the rule of gold',” she said. Phoenix Hunt was at Spinks Park with her sister, Siiva, from Lismore Heights Public School. "I am disappointed that the government is happy to make money and ruin our future at the same time,” she said. She ended with the chant: "We want renewable energy. When do we want it?” To which emotional audience replied: "NOW”. Greens Candidate Sue Higginson was at the event to lend her party's support and criticised Prime Minister Scott Morrison's condemnation of the strike happening in school time. "This is about the kids. We have a choice to listen to what they are saying. I am listening,” These kids are coming together across the whole country. Striking and protesting is a powerful way to he heard when you are not otherwise being heard and that is the message the kids want to get across, they are not being heard,” she said. Ms Baume said Trinity Catholic College had "neither supported nor discouraged” their students for taking part in the strike. 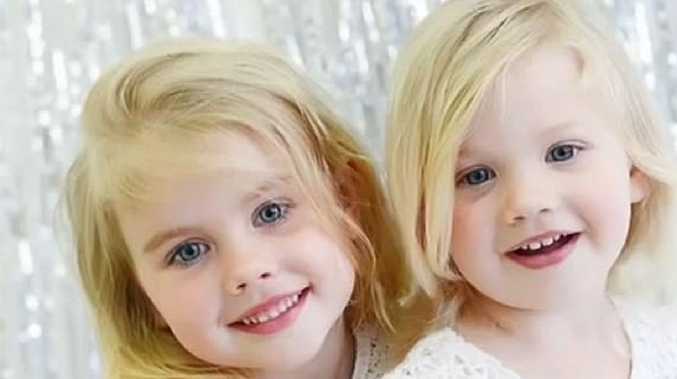 She said they had been told, with parental permission, it was a matter of individual choice. There was no threat of suspension for their actions. "IT is our future, it's our planet and it's in your hands”. This was the plea from the Head of Trinity Catholic College to Australia's politicians in front of nearly 500 fellow students at today's nationwide School Strike for Climate change. "In the words of the American Rapper, Prince Ea: Let's put the people over profit, put need over greed and the golden rule over the rule of gold,” she said. Beth Cooper-Wares held back tears in her speech when she said: "Did you know by the end of the century our earth will have risen by three degrees in temperature, by 2100 sea levels will have risen by four feet and the Arctic Ocean is likely to become ice-free by the mid-century. The last speech was given by a student from Channon Public School who said: "You know how our parents are always telling us to clean our rooms. Well, it is now time for the grown-ups to clean up our planet. She ended with the chant: "We want renewable energy. When do we want it?”, to which emotional audience replied: "NOW”. "This is about the kids. We have a choice to listen to what they are saying. I am listening. "These kids are coming together across the whole country. Striking and protesting is a powerful way to he heard when you are not otherwise being heard and that is the message the kids want to get across, they are not being heard,” she said. Ms Baume said Trinity Catholic College had "neither supported or discouraged” their students for taking part in the strike today. She said they had been told, with parental permission, it was a matter of individual choice. There was no threat of suspension for their actions.